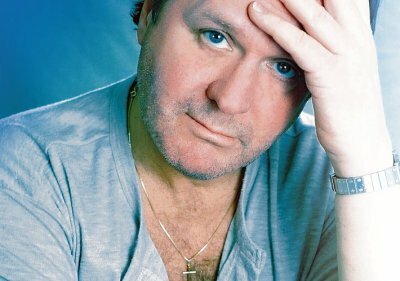 As the current frontman of Asia, and a former member of UK, Uriah Heep, King Crimson, Wishbone Ash, and countless other projects, John Wetton has contributed his talents to some of the greatest records of all-time. Alongside veteran rock legends Geoffrey Downes, Carl Palmer, and Steve Howe, Wetton has been thrilling audiences around the world on the Asia 25th Anniversary Reunion Tour. I recently had an opportunity to ask this icon of rock royalty a few questions; and aside from some revealing musical details, what came to the surface was the fact that Wetton is a rejuvenated man, as well as a masterful musician. How has writing songs with Asia, and primarily Geoffrey Downes, changed from 1982 to 2006? Remembering back to the early days, ‘82-‘85, what would you say is the biggest change in this band? In an interview from April 2003, when talking about the famous “And now you find yourself in eighty two” lyric from “Heat of the Moment,” I have you quoted as saying, “'Eighty two' does not refer to the year, but to a location.” What location are you referring to in the song? “Heat of the Moment” originally appeared on the Atoll album, “Rock Puzzle.” Did you present the song idea to anyone else you were working with at the time, like Wishbone Ash? I’m sorry, John! With all of the talk about the lyric from the previous question, I have “Heat Of The Moment” stuck in my head now! I meant to say “Here Comes The Feeling,” of course, appeared on the Atoll album. Is it true that guitarist Eric Johnson was a member of U.K. before the band ultimately settled on Allan Holdsworth? Looking back at your entire career, what song are you most proud of? In your opinion, what is the best song you’ve ever written? Out of the long set of music on this reunion tour, what song do you most enjoy playing live? Do you listen to the up-and-coming bands out there today, and is there any artist that you are particularly impressed with? What could I find you listening to on the tour bus as you travel from city to city? What do you think of the Asia material that has been released over the years after you left the band? Over your lengthy career you’ve worked with everyone from David Cassidy to Robert Fripp to Ringo Starr. Is there anyone that you’ve always wanted to work with but have never gotten the chance? Can we look forward to a CD and/or a DVD of this Asia reunion tour? It was quite an honor bestowed upon me to be given this opportunity to talk with a true rock legend, and I want to thank everyone involved in making it happen - you know who you are. 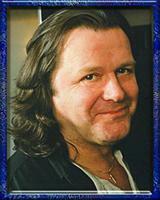 And, of course, extra special thanks to John Wetton for his talent and expertise as a musician, and his class and kindness as a human being.